Women in Agriculture and Allied Sciences Apart from Introduction the book covers, Role of Women in Agriculture, Women in Rice Production, Women in Tea, Coffee and Spices Plantation, Role of Women in Cotton Production, Role of Women in Flower and Mushroom Cultivation, Women's Participation in Sericulture, Biotechnologies in Horticulture for Farm Women, Women's Role in Fisheries, Women in Dairy Activities, Role of Women in Poultry Farming and Development, Women in Animal Husbandry, Women in Livestock Production and Women in Veterinary. This book will be a useful reference for students studying in the related sectors. 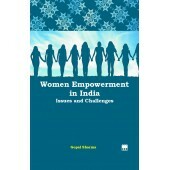 About the Author: Kulvir Kaur Dr (Mrs) Kulvir Kaur did her B.Sc. (Home Science) in 1992 from Punjab Agricultural University, Ludhiana and M.Sc. (Family Resource Management) in 1995. In 2005 she did her Ph.D. from the same university. 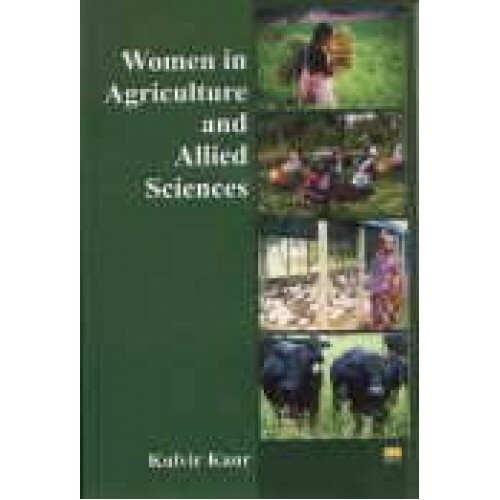 In addition to Women in Agriculture and Allied Sciences she has 7 research articles published in various journals to her credit. Presently she is working as Demonstrator (Home Science) in Krishi Vigyan Kendra, Nurmahal, Jalandhar.